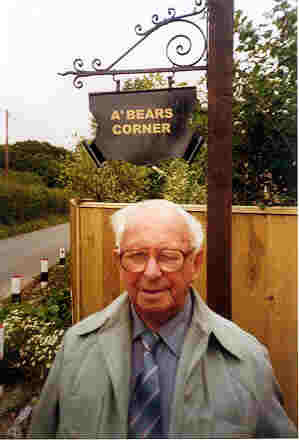 A'Bears Corner is the name given to a house which stands on land owned and farmed by our family for centuries. The house was built when the land was sold at the end of the 19th Century, and the present owner wanted this to be remembered. 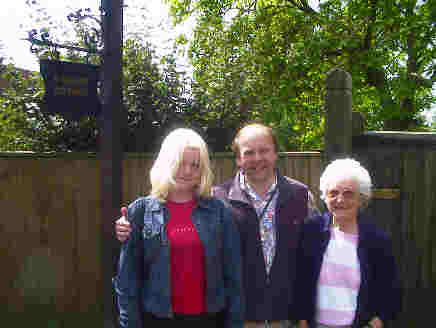 It stands only a hundred metres or so along the road from Hill House, and I visited the house with my daughter Melissa in July 2001 by arrangement, and following a visit not long before by my now late uncle Leslie A'Bear (see below). The inventory of John ABear who died in 1795 stated that his ownership of land was then 230 acres. The quantity seems to have peaked around this time, and the later Enclosure Awards Map of 1818 gives some idea as to where this land lay. 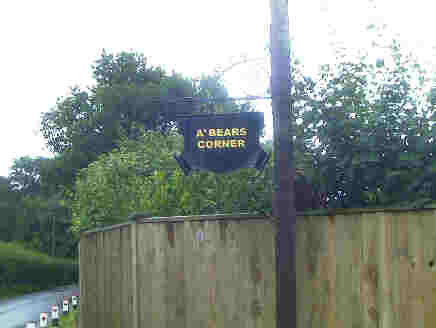 It was mostly but not entirely in one stretch, encompassing Hill House and ABears Corner.